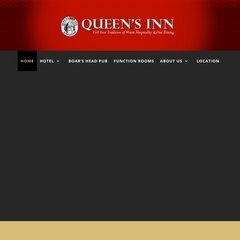 Topics: Hotel, Boar's Head Pub, Henry's At The Queen's, & New Website. queensinnstratford.ca Queen's Inn Stratford, Henry's at the Queen's, The Boar's Head Pub .. The programming language environment is PleskLin. Its 2 nameservers are ns0.conceptualpathways.com, & ns1.conceptualpathways.com. It is hosted by Imperium Inc (Alberta, Calgary,) using Apache web server. PING (204.50.103.112) 56(84) bytes of data. A ping to the server is timed at 69.2 ms.